We originally used Complete Irrigation for all of our sprinkler services before we restored our property. For five years we used the landscape contractor who redid our lawn and shrubbery but two years ago we reconnected with Stanley and his team and have been extremely happy with their services. We certainly had missed the promptness and completeness of the technicians that have taken care of our sprinkler system, it is good to be back! It has been a pleasure having Complete Irrigation come to my home and maintain the system they installed over 20 years ago. They are prompt, professional and caring. I always enjoy seeing the technician drive up, especially when Spring arrives! I highly recommend this company. 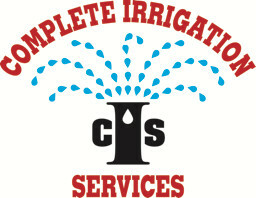 We have been doing business with Complete Irrigation for over 20 years and have been very satisfied with their service. I’d recommend the anyone that has a sprinkler system. Give them a call! We had Complete Irrigation install a system over 14 years ago and have had springtime and winterization preformed each year. The technicians are highly qualified and professional. Looking forward to another season and continue to promote your company to family and friends. My first experience with installation and start-up went very well. Bob O’Neill, Vice President, was very detailed and helpful with the entire process. He returned on several occasions to make adjustments to the sprinkler heads and the control panel operation.